Northwest Passage offers dog sledding, snowshoeing, and winter camping. 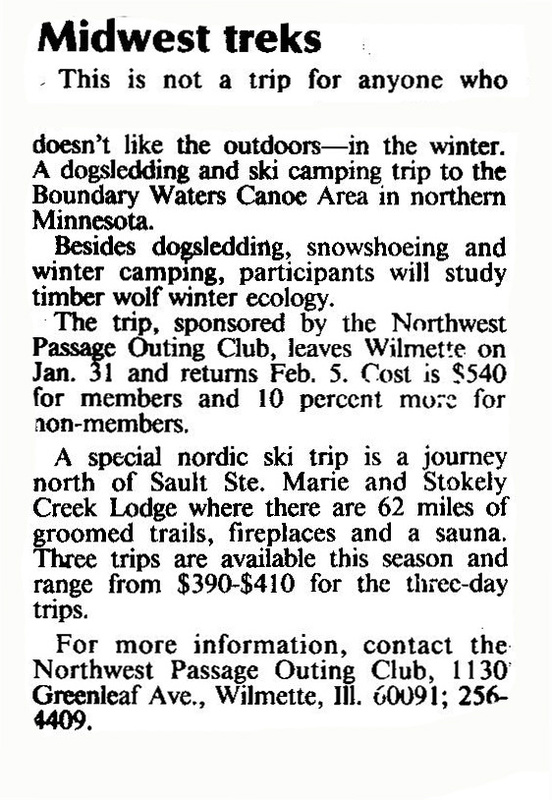 The Northwest Passage offers adventuresome dogsledding and winter camping trips to the Boundary Waters Canoe Area. 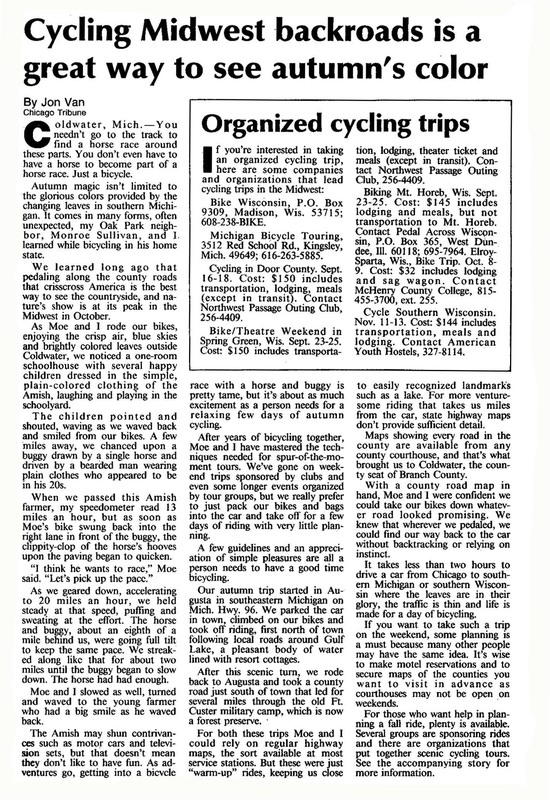 Northwest passage offers organized cycling trips, including a bike/theater weekend in Wisconsin. Northwest Passage offers cycling tours in the Midwest, an exciting and relaxing way to enjoy the fall colors. 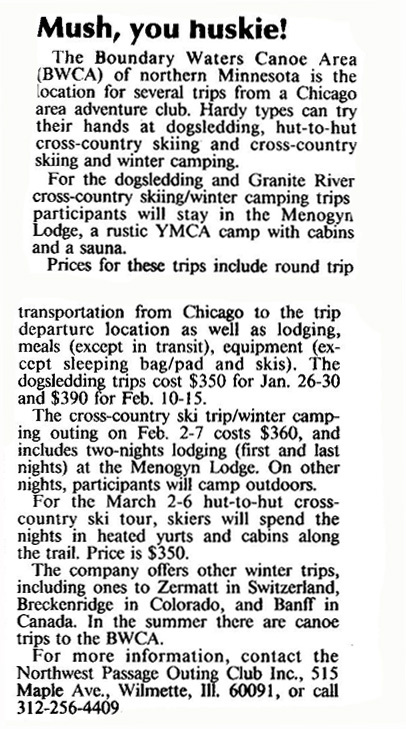 The Northwest Passage offers dogsledding, hut-to-hut cross-country skiing, and winter camping.